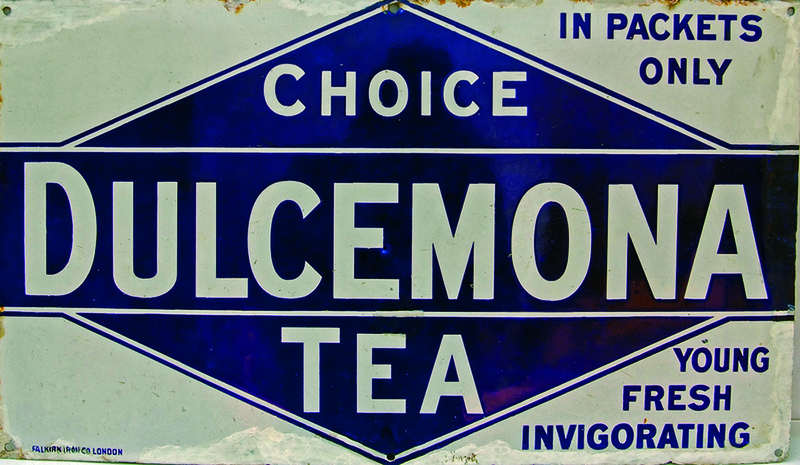 Enamel Advertising Sign 'Choice Dulcemona Tea - In Packets Only - Young Fresh Invigorating'. White lettering on blue ground. Measures 15 x 26. Has some restoration around the periphery.